A healthy diet can have occasional treats. I try to give my body healthy food as it makes me feel and look good. For the most part, my body craves the healthy food. My family thinks it is strange that I love eating vegetables but I truly love them. It was not always that way as growing up I ate way too many sweets. It took many years of changing my eating style to learn to love vegetables. I still love something sweet once in a while and I feel it is Ok to indulge my sweet tooth a couple times a week. When I do indulge that sweet tooth, I reach for something that is made with healthy ingredients. So today I am going to show you that you can still enjoy sweets with a healthy lifestyle. I am going to show that my cupcake logo on my website can be made into a healthy yet delicious treat. This delicious treat is also high in protein which makes it a perfect treat to indulge in after a morning run. I like to enjoy mine with a cup of coffee. Today is National Chocolate Cupcake Day and I will be celebrating this day with my delicious healthy chocolate peanut butter brownie cupcake. 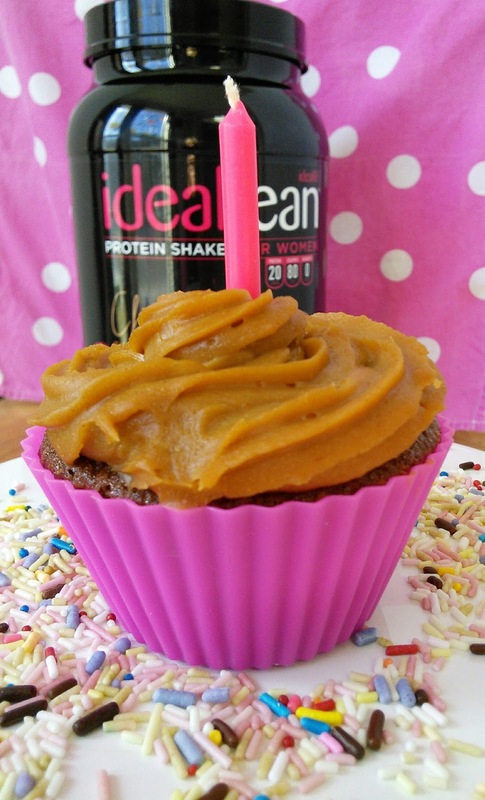 The secret ingredient in my high protein cupcakes is a delicious Chocolate Brownie Protein powder. 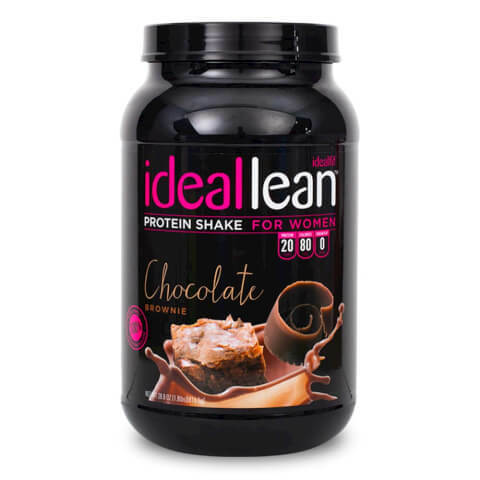 This rich chocolate protein powder not only gives my body the much-needed protein but it is designed for us ladies. You have seen the many ads for protein shakes that are aimed at the guys. They are loaded with way too much sugar, calories, and other ingredients that are not designed for a lady. IdealLean Protein thought about us ladies, no offense guys, and designed a protein powder that helps our bodies to recover and get lean muscles, not bulky ones. I just love that it only has 80 deliciously smooth calories, no sugar and 20 grams of protein. That way I can enjoy a yummy protein shake any time of the day and not worry about extra calories. I can also use this protein powder in my many recipes like cupcakes and energy balls and give my boys the extra protein their growing bodies need. 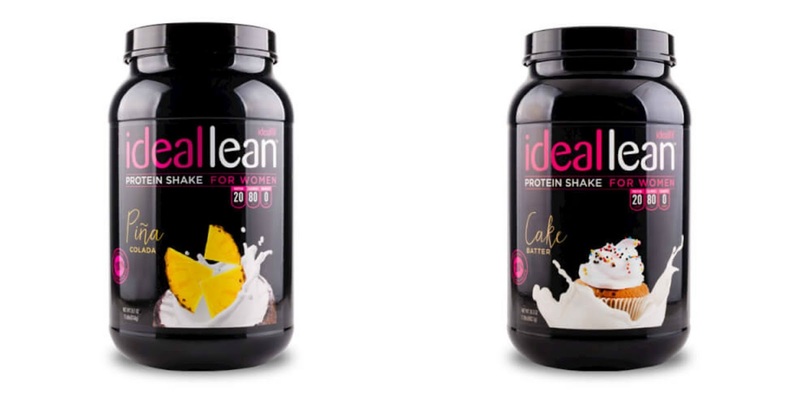 My favorite flavor is Chocolate Brownie but IdealLean makes seven wonderful flavors like Pina Colada and Cake Batter so I never get bored with my daily protein shake. My boys even enjoy an IdealLean shake once in a while for a healthy after school snack. My boys favorite combination is one scoop of Chocolate Brownie mixed with peanut butter and almond milk. What mom is going to say no to their child asking for a milkshake made with protein powder? My chocolate peanut butter brownie cupcakes are a delicious chocolate cupcake that tastes like a brownie and is then topped with a yummy low-fat peanut butter frosting. 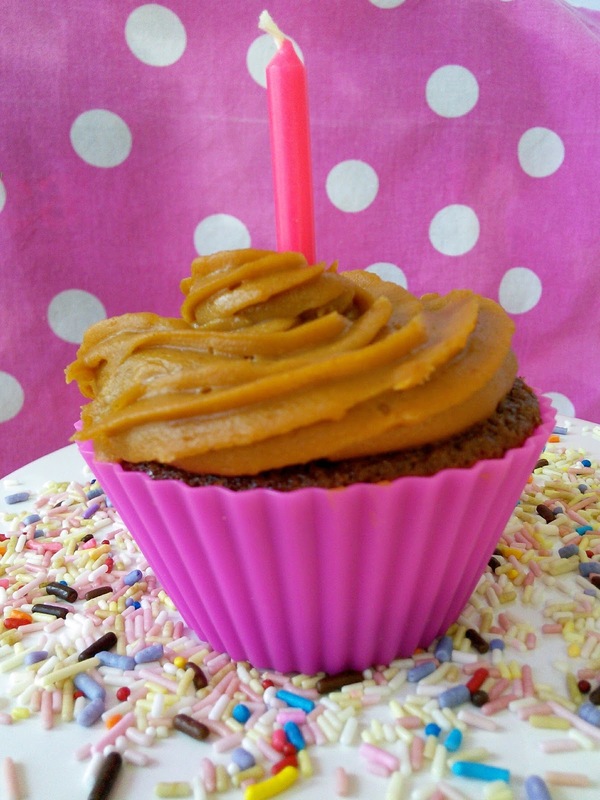 This frosting is made with peanut butter powder which is low in fat. You can use real peanut butter in the frosting but that would add 8 grams of fat. These cupcakes are low in calories, fat, and high in protein. Each delicious cupcake with frosting has about 11 grams of protein. So indulge in this delicious treat on National Chocolate Cupcake and give your body some extra protein for those lean muscles. IdealLean makes seven wonderful flavors so visit their website to find your favorite flavor. Fill 8 cupcake tins with liners or spray with nonstick cooking spray. Whisk together egg whites, almond milk, applesauce, and vanilla in a mixing bowl until completely smooth. Add Chocolate Coconut IdealLean protein, oat flour, almond flour, cocoa powder, coconut sugar, and baking powder to a separate mixing bowl. Add to wet mixture and stir until just combined. Fill cupcake tins and bake for 15-20 minutes, or until a toothpick comes out clean. Let cool and frost each cupcake with 1 tbsp peanut butter frosting. Enjoy! Mix all ingredients together. If your frosting is too thin, add more peanut flour. If your frosting too thick, add more almond milk. "These opinions are my own and I received samples of IdealLean Protein to facilitate this post"
National cupcake day? Ok I am on the bandwagon with this one! WTF!! I didn't know about this day :(. I'm so sad now. I would try these! Only mine probably wouldn't be the healthy way. Counteract is the key! Eat healthy and enjoy food. Eating chocolates and something sweet like cupcakes can be real tempting but oftentimes, I try to tame myself. I need to somehow think of health. But reading this and knowing I could still some the healthy way, why not give this a try! Looks yummy. Thisis the first time that I heard the national chocolate cupcake. These look amazing!! I love the idea of putting protein powder in them, means you can have more of them right? I did not know there was a national chocolate cupcake day! How great!!! And these look so delicious! How cool - I would have never thought to use that for cupcakes....YUM!! Those cupcakes looks so yummy! I want them now!